Expungement in DC is the “sealing” of criminal and arrest records. The record is still accessible by the government, but it is sealed from public view. Most employers and practically all private individuals cannot legally access sealed records. This process allows for people to get jobs. This page is a quick outline of the DC Code on the sealing process. This section is not intended to be a substitution of the DC Code or of legal advice, but rather a starting point to help you with your understanding. If at any point you need help applying the rules to your situation, contact me at anytime! 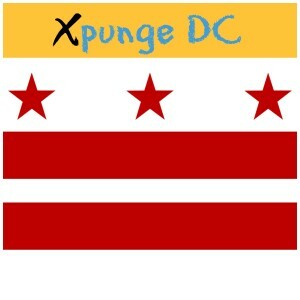 DC Rules on Expungement – D.C. Code § 16-801 – 809. 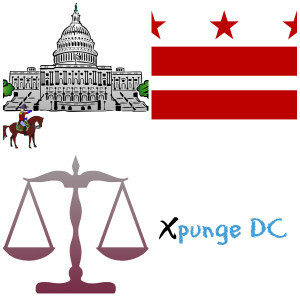 The source of rules governing expungements in DC is D.C. Code § 16-801 – 809. A person whose charges were terminated without conviction may file a motion to seal records at any time. The person must show (i) the offense did not occur or (2) that he is innocent. The DC Code explains what felony convictions in DC qualify expungable in in the negative, by stating what misdemeanors and felonies are disqualifying. The only qualifying felony is failure to appear. Any felony other than failure to appear is a “disqualifying” felony. Once again, The DC Code explains what misdemeanors are expungeable in the negative. For a full list of ineligible misdemeanors check the Xlog. A person charged or arrested for an eligible misdemeanor that was not convicted may file to have his or her record sealed 2 years after the termination of the case. if he or she already has conviction on his or her record, then the waiting period is extended. Persons with ineligible misdemeanors already on there record must wait 5 years. Persons with disqualifying felonies must wait 10..
A person who has been convicted of an eligible misdemeanor or felony may file for expungement 8 years after the completion of the sentence. The DC Code enumerates a list of what Judges may consider in deciding whether or not to grant an expungement. A Judge must balance the person’s interest in having his or her record expunged with the community’s interest in retaining access to that person’s record. The Judge must weigh the person’s interest in employability, against an employers interest in making fully informed hiring decisions. Judges may also consider the nature and circumstance of the offense. The person’s specific situation must be taken into account such as his or her character, or employment history, and prior or subsequent conduct, criminal history, and more. Xpunge Me!’s very own Brian Pendergraft Esq. can help you properly file a motion to seal records and present your case before the court as to why you deserve an expungement at an affordable cost. Text 301-200-07777 or email [email protected] to schedule a free expungement evaluation of your case!